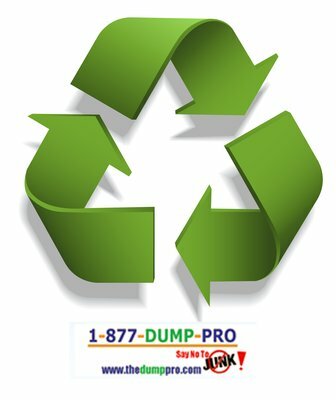 Thinking about using a dumpster? …don’t! Use our truck to remove your junk and trash instead. Our San Francisco Bay junk and debris disposal services are cheaper and more convenient than using a standard dumpster service. As an experienced San Francisco junk removal firm, we make rubbish and junk removal easy. We come, sort, load and haul your trash in our truck in no time at all. Your job is to relax. The charges will be according to the volume of junk we have loaded on the truck. Charges are based on ¼, ½, ¾, or full loads. Avoid having to file for a permit to meet city and county requirements. Avoid getting charged a flat fee for the dumpster regardless of how many items are placed in it. Avoid other people filling up your dumpster overnight if your job is not completed in one day. Avoid the complaints from your neighbors because the dumpster remained longer than expected (eye sore). Avoid getting charged for unexpected over the weight limit fee’s if dumpster is too heavy. Avoid getting broken sidewalk from the dragging of a metal dumpster. Avoid having to gather people to provide your own labor. However, if you are set on having a dumpster/debris bin delivered to your property, we do offer that service at a lesser rate and you still avoid the pitfalls listed above! We offer 6, 10, 15, 20, 30 and 40 cubic yard Debris Bin/Dumpster trailers delivery service! will pick up appliances, old furniture, boxes, trash, tires, rubbish, & much more. will pick up any regular junk mixed with construction debris and dense material. If you have one or two pieces of furniture or trash, schedule a quick pick up with ! Are you being consumed by junk and cannot decide what to keep and what to throw away? Do you know someone who has extreme clutter and is being preventing from enjoying a higher quality of life? We can help them. We come, sort, bag, load and haul away. After years of accumulation, it will only take moments to clean up. Our understanding and patient staff are equipped with the tools to effectively help sort through and get rid of everything they no longer need. We deal with all types of situations on a daily basis. Take this opportunity to have them use the as a vehicle on the road to a better quality of life. Also, we work hand in hand with our sister company, All Clean Janitorial, which specializes in heavy duty residential and office cleaning. We understand that it can be very frustrating when it comes to cleaning up your yard after some unscrupulous people have illegally dumped the content of the trucks in your lot. Let the come in a clean it up for you. Our crew will come with the proper tools and clear out all the trash, debris and rubbish in no time at all. We offer same day service! We even will get rid of your old computer and office equipment. Our professional and courteous crew will come and carefully remove and properly dispose of computer screens and other items that require special handling. We can also dismantle and remove cubicle stations and other office furniture. We are fully insured and licensed, so there is no need to be concerned about your material being mishandled or disposed of improperly. Is it time to get rid of that old shed or garage? Whether it is wood or metal, our highly trained professional staff will come and carefully dismantle or demolish your shed or garage and haul away the debris. We do it all! We will even remove the content if necessary and leave the area ready for new installation. One of the greatest benefits that you will receive is that we offer same day service. Don’t delay, call us right away. attempts to donate and or recycle as many items as possible to local charities and organizations. Our professional and courteous crew will come and carefully facilitate your office or commercial space removal. Whether it be due to relocation or simply getting rid of old unwanted rubbish and debris, we can also dismantle and remove cubicle stations and other office furniture. We are fully insured and licensed, so there is no need to be concerned about your material being mishandled or disposed of improperly. ‘s expertise will definitely enable us to get the job done efficiently. Enjoy the amenities of our sister companies. Mention and receive a $20 discount! All Clean Janitorial Systems is a cleaning Service for Heavy Duty Residential and Commercial Cleanings. While in conjunction with , All Clean Janitorial offers complete thorough cleaning of bathrooms, kitchens and other living areas from walls to floors after your rubbish removal. From Moderate to Heavy Duty, All Clean cleans everything from windows to carpets. All Clean Janitorial also offers complete disinfecting and sanitizing after Sewer Backup, and cleaning after Fire and smoke damage. All Clean Janitorial offers complete thorough cleaning of bathrooms, kitchens and other living areas from walls to floors after your rubbish removal has been completed. From Moderate to Heavy Duty, All Clean Janitorial cleans everything from windows to carpets for both Residential and Commercial. All Clean Janitorial also offers complete disinfecting and sanitizing cleaning. You can book your next service with the and include your cleaning services all in one. We are your one stop to household office cleaning and rubbish removal service. Request an estimate or book your appointment today, or visit the All Clean Janitorial website at www.allcleanjani.com.